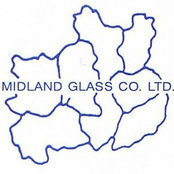 Midland Glass is a family-run business operating in Derby and serving the whole of the Midlands. Priding itself on a high quality product and having grown through listening to customer feedback, Midland Glass is proud to have a loyal customer base and a dedicated workforce. We manufacture a huge range of PVCu windows, doors and conservatories with a wide variety of glass and glazing options - explore our site to find out more and get in touch for a free, no obligation quotation. The first local fabricator to gain Liniar Approved Fabricator status, Midland Glass is proud of its eco-friendly credentials and high standards. By purchasing your windows, doors and conservatories from us, you can be assured of the very best customer service at all times.